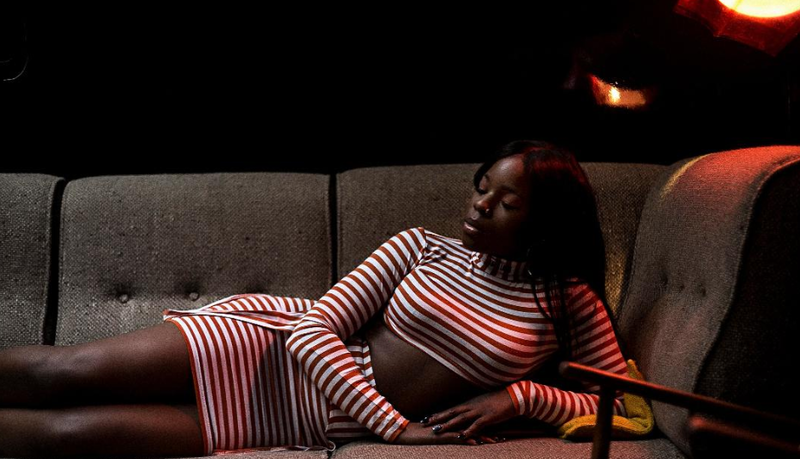 Following her newly released ‘How To Feel’ single, which received support from Clash Music and BBC 1Xtra, South East London singer/songwriter LAOLU unveiled her music video for the sultry R&B jam. Shot on location in Paris, and co-directed by LAOLU and searchmike (Rachel Foxx, Sippin Society, Factory311), the four-minute production takes inspiration from Beyonce’s classic ‘My, Myself and I’ video, while still maintaining a minimalist approach, which allows for the powerful record and its lyrics to take centre stage. The visuals also let LAOLU’s personality shine through – a complete opposite to the darker-themed visuals for her previous single ‘All In Me’. Watch the video to ‘How To Feel’. Following a string of sold-out headline shows earlier this year and the launch of his ‘More of HER’ playlist which featured tracks such as ‘Hi Grade’ ft Protoje, ‘Road Closed’, ‘Crud’ and ‘No Days Off’, the dynamic UK R&B singer ANGEL continues his unstoppable ascent with the release of his new single ‘Take You Home’, the first track to be taken from his forthcoming album ‘WOMAN’. Paying homage to iconic 90s R&B and hip-hop jams including Foxy Brown ft Blackstreet – ‘Get Me Home’ and SWV’s ‘I’m So Into You’, ANGEL once again drops his signature mix of addictive throwback influences combined with his distinctive, soulful vocals and unparalleled songwriting and production talents on the new track – the perfect introduction to his highly anticipated full length project which is expected next year. 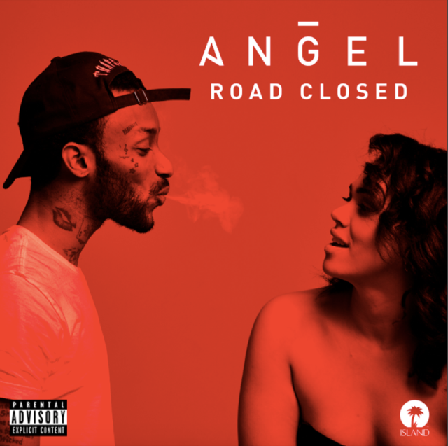 Last year ANGEL released the massively popular ‘HER’ EP which has amassed over 3 million combined streams and featured the Harmony Samuels produced ‘Fvxk With You’ that saw west London meeting America’s ‘dirty south’, delivered courtesy of an explosive 16 bars from Atlanta, Georgia’s Rich Homie Quan and made a huge splash across both sides of the Atlantic. Signed in the US by Motown records VP, Ezekiel Lewis (also responsible for forming the group The Clutch who have gone on to write and produce hits for Beyonce, Justin Bieber, Neyo and more), alongside Island Records, ANGEL continues to reinforce his position as one of the UK’s hottest R&B talents…. so it goes without saying that the new album is going to rock both sides of the shore, making 2018 and beyond his for the taking…. 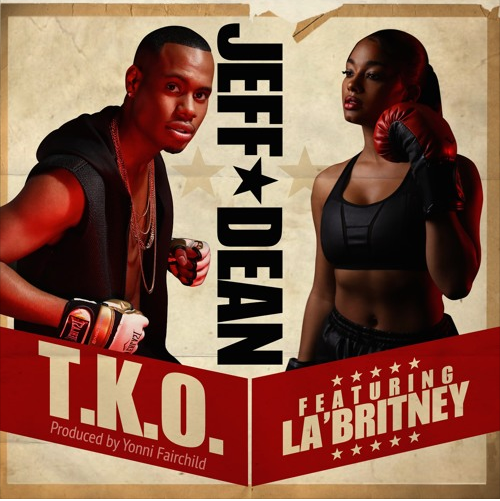 JEFF DEAN join forces with Detroit R&B singer, La’Britney for a R&B mid-tempo number entitled ‘TKO’. Also a Detroit native, JEFF DEAN singing influences run deep in the richness of the city. Having the classic church background common in such a historically musical hometown, Jeff found his way to the microphone via numerous avenues. Starting in Sunday morning worship services and the Wayne State University Gospel Choir all the way to competing through several rounds of X-Factor, Jeff knew that music and singing was his passion. In 2014, he ventured out on his own and released his first single, ‘House Guest’ featuring Earlly Mac and produced by Jupyter. After receiving such a positive response on various streaming outlets (including 30k plays on SoundCloud) as well as a feature on RnBass, Jeff took things a step further. Enlisting the songwriting and management assistance of Universal Music Group Publisher and songwriter Antea Shelton (APLUS), Jeff released his first EP, MAD DOPE, which included 4 promo videos and another feature on RnBass. Currently in the works is a brand new single titled ‘TKO’, created by Grammy nominated producers and writers Yonni Fairchild (Fergie, Keyshia Cole, Rick Ross), APLUS (Justin Bieber, JLo, Beyonce) and Marcus Mims…this one is too good to miss…hit the play button on this one. Hot on the heels of a huge summer which saw him bring his mesmerising vocals and must-see stage performances to both Wireless and V Festivals, UK R&B singer-songwriter ANGEL has shown no signs of slowing down with the release of his new EP HER earlier this month – which has already been streamed almost 400,000 times in less than two weeks – and now the brand new visual for his track Fvxk With You featuring US rap artist Rich Homie Quan. Sampling 90s girl-group Jade’s iconic New Jill Swing jam Don’t Walk Away, ANGEL continues with his unique mix of addictive 90s samples mixed with his distinctive, soulful vocals on the Harmony Samuels produced Fvxk With You. With west London meeting America’s ‘dirty south’, delivered courtesy of an explosive 16 bars from Rich Homie Quan, the Atlanta, Georgia hip-hop artist currently taking the music industry by storm, Fvxk With You has already started to make a huge splash across both sides of the Atlantic and is set to be taken to the new heights with the new visual, filmed in the rapper’s ATL neighbourhood. HER EP is a collection of six slick and sultry R&B jams produced by Angel and showcasing his incredible songwriting ability and flair for hypnotic hooks and earworm melodies. Seeing him continue to build on the waves he created with his previous releases this year, the EP features two further new tracks, the soon-to-be new favourites Thelma and Louise and the Bobby Brown sampling Me & You. 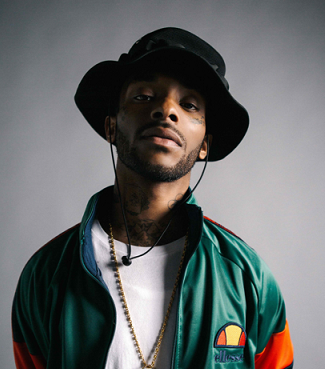 HER also includes Hop On featuring rising UK rapper Stefflon Don and the powerful Rude Boy featuring Haile from WSTRN, which along with the remix – which saw him join forces with JME (Boy Better Know), Wretch 32 and Tally – collectively amassed over 2 million combined streams and garnered support from Radio 1Xtra and Rinse FM. Signed in the US by Motown records VP, Ezekiel Lewis (also responsible for forming the group The Clutch who have gone on to write and produce hits for Beyonce, Justin Bieber, Neyo and more), alongside Island Records, ANGEL continues to reinforce his position as one of the UK’s hottest R&B talents. With Pop and Oak (known for their work with the likes of Chris Brown, Kehlani and Nicki Minaj), Grammy award-winning producer Swiss Beatz, Neff U and Prince Charlez (who recently collaborated with Rihanna on Anti on the list as just some of the credible names Angel has recently worked with, there is no doubt that his debut album is going to rock both sides of the shores, making 2017 and beyond his for the taking. HER EP Is out now on Island Records.